If you are interested in singing with the UAK, we would like to invite you to participate in two normal choir practises. 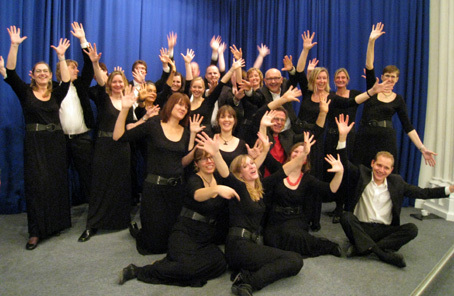 Here, you can get an impression of the choir and how we work. After this, we will hold an audition in order to hear your voice, and whether it fits in the choir. The audition consists of a song chosen by you, sung a cappella, and of different song- and sheet music reading tests.